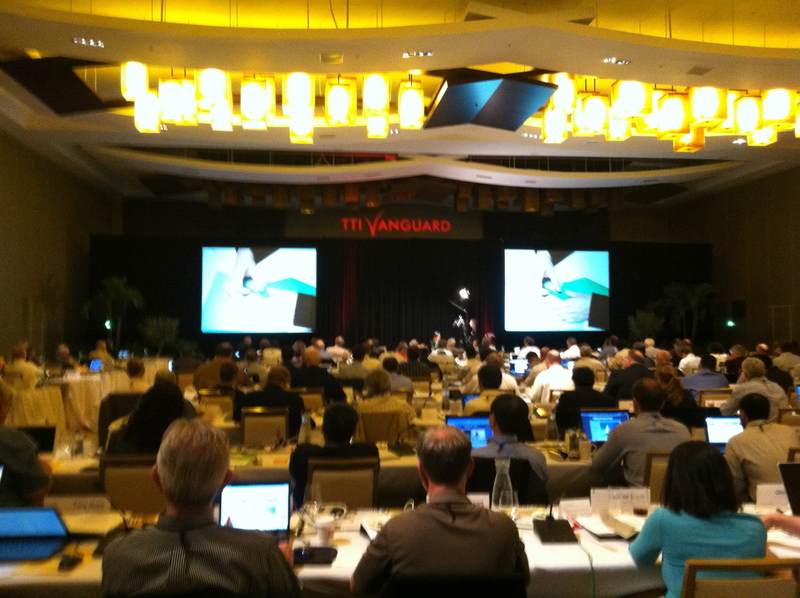 This year I was offered an amazing opportunity to speak at the TTI/Vanguard: NextGens TechnologiesConference in Miami, Florida at the Marriott Marquis Hotel. TTI/Vanguard is a unique forum for senior-level executives that links strategic technology planning to business success. 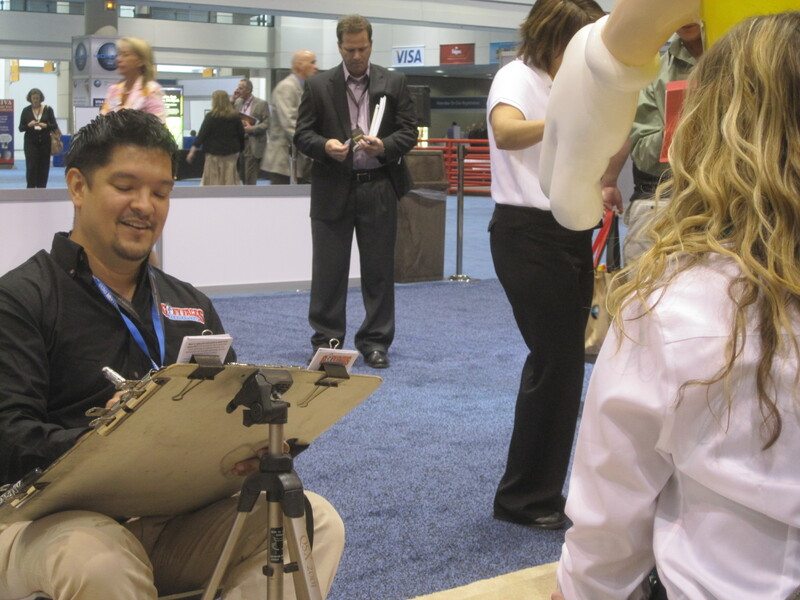 Their conferences are about discovering technological possibilities for the 21st century. Five times annually, corporate and government leaders, entrepreneurs, researchers, and academicians come together to envision the future’s future technologically. In highly interactive sessions, led by a world-class Advisory Board—John Perry Barlow, Maria Bezaitis, Gordon Bell, Peter Cochrane, Deborah Estrin, Eric Haseltine, Michael Hawley, Alan Kay, Leonard Kleinrock, Douglas Lenat, Robert Lucky, Nicholas Negroponte, and David Reed—and today’s most influential thought leaders, debate is stimulated, and breakthrough ideas flourish. Being around such innovative individuals was intimidating, to say the least. 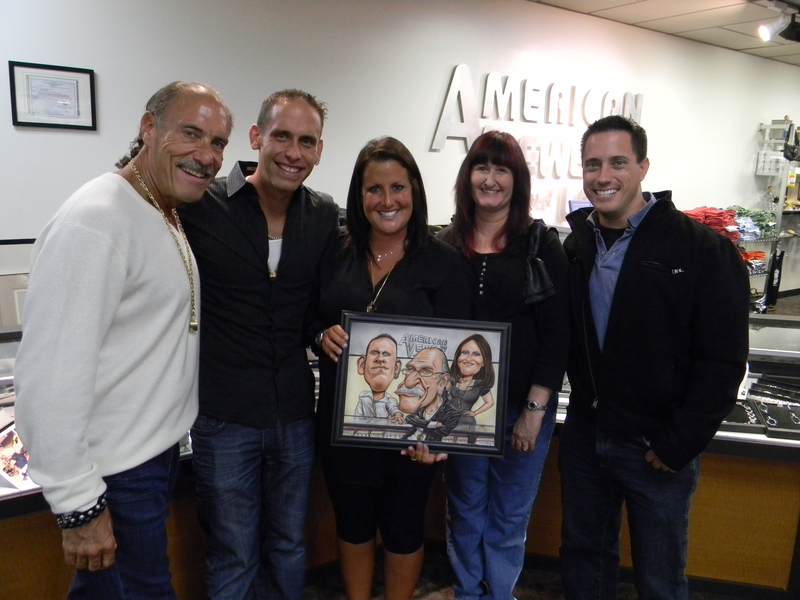 Having to give a presentation on the art of caricature to a group like this was even more nerve-racking. 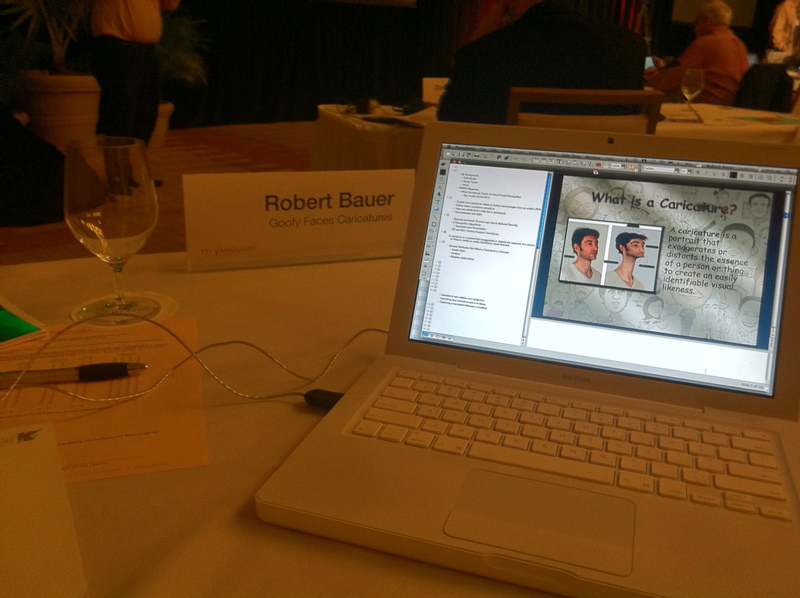 However, the presentation went off without a hitch and many attendees complimented me on my performance. 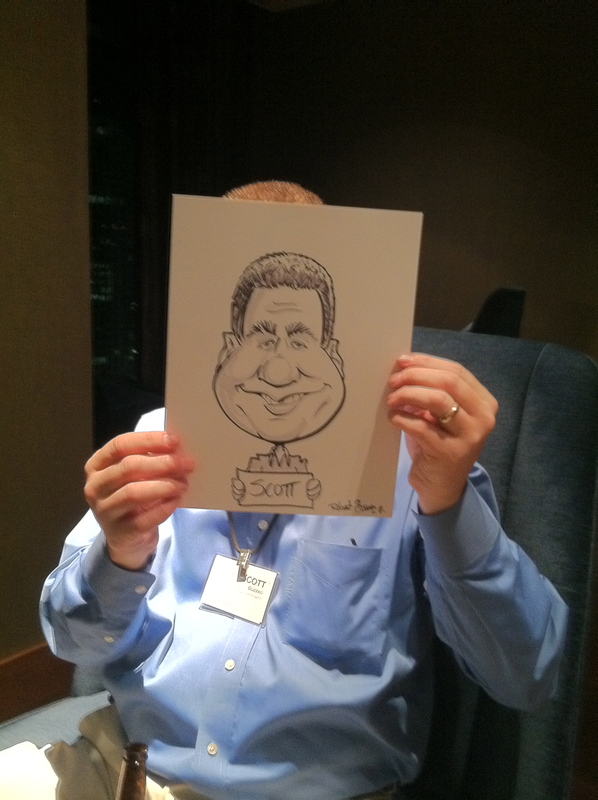 In addition to speaking and networking, I also drew at one of their events on the last evening of the conference. Guests lined up to be drawn by one of the speakers which was a unique opportunity for them as well as myself! 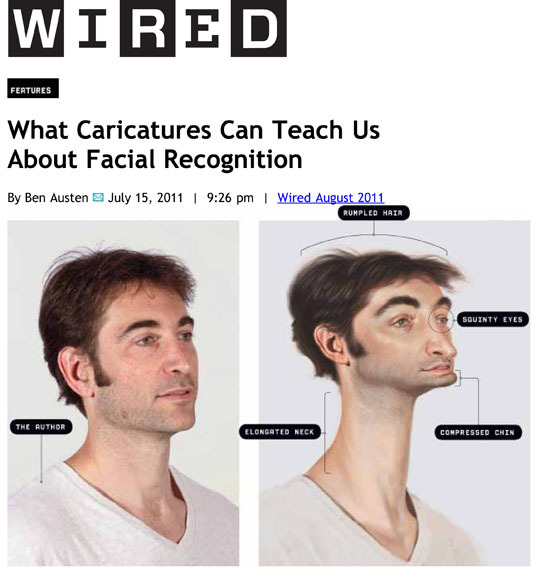 Check this awesome article in WIRED Magazine about facial recognition and how caricature artists have it all figured out, written by Ben Austen. You can also download it as a PDF. 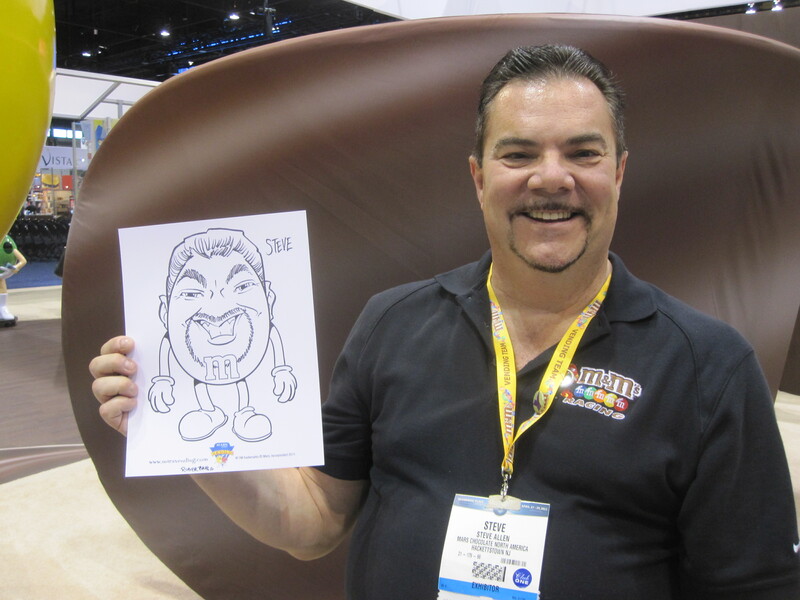 Once again Goofy Faces was on-hand at the National Automatic Merchandising Association’s annual trade show held at McCormick Place in downtown Chicago drawing m&m caricatures for Mars Chocolate, North America. 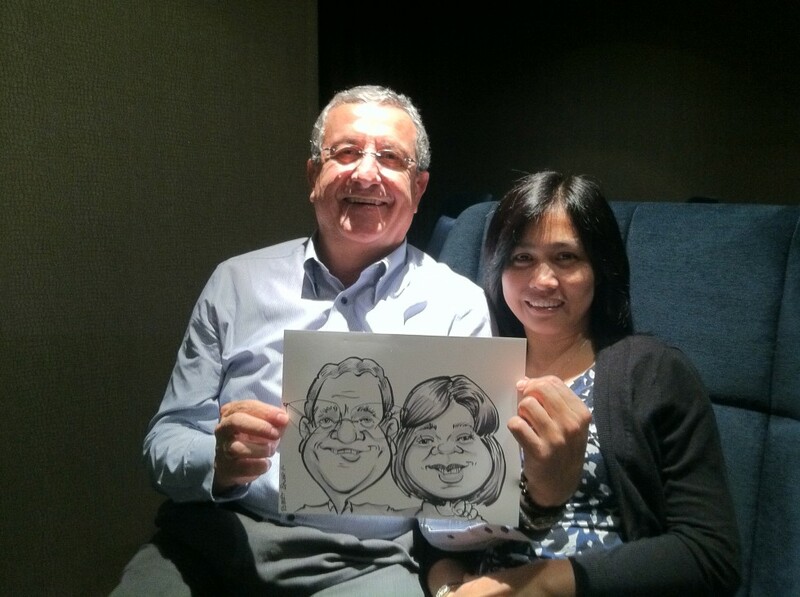 For 2 consecutive days, both artists kept busy drawing m&m caricatures of attendees from all over the world. 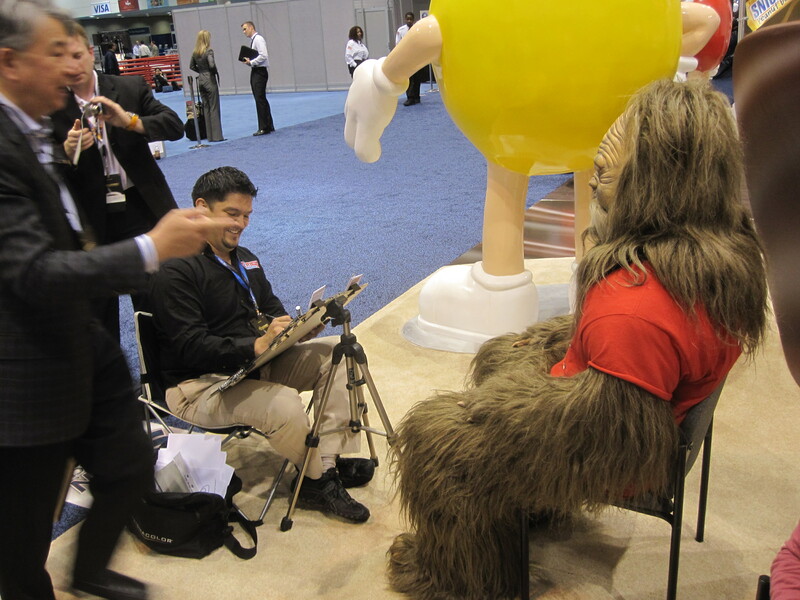 Goofy Faces even got a chance to have some fun while Messin’ with Sasquatch! Last night I had the distinct pleasure of entertaining at a private party for former Detroit Tiger, Al Kaline’s 75th birthday. 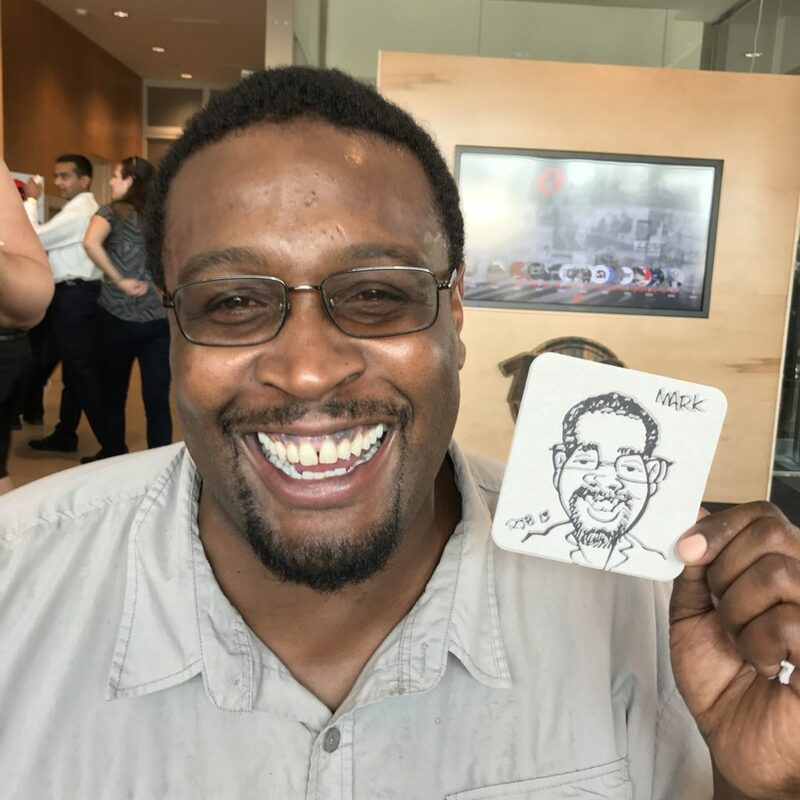 I spent a few hours drawing many Tigers guests as well as the Hall-of-Famer. 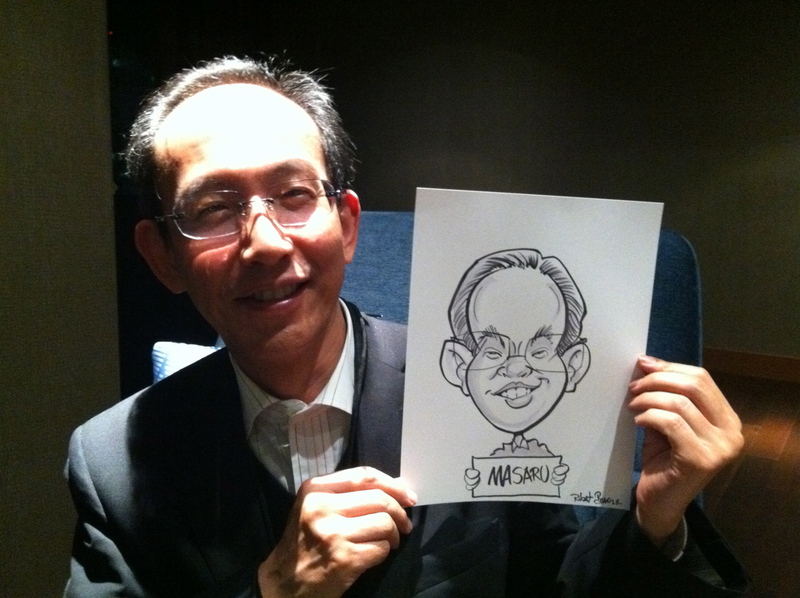 Prior to the event, I took the time to prepare a personal caricature of Al to give as a gift to him at the party. Mr. Kaline is a very gracious and kind gentleman who even signed an extra copy of the caricature so I could add it to my collection. Happy Birthday, Al! 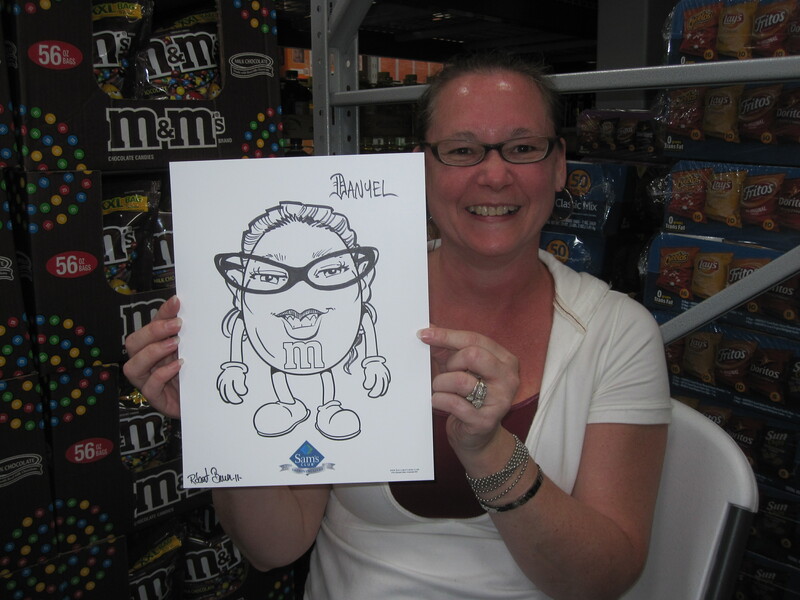 m&m Caricatures at Sam’s Club! 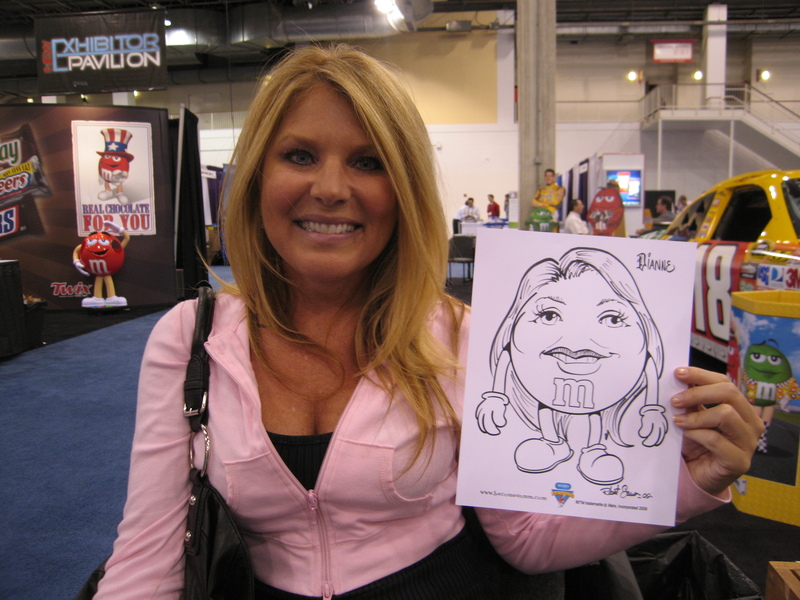 For many years now, Goofy Faces has been providing artists to draw caricatures for Mars Snackfoods, the makers of m&ms. 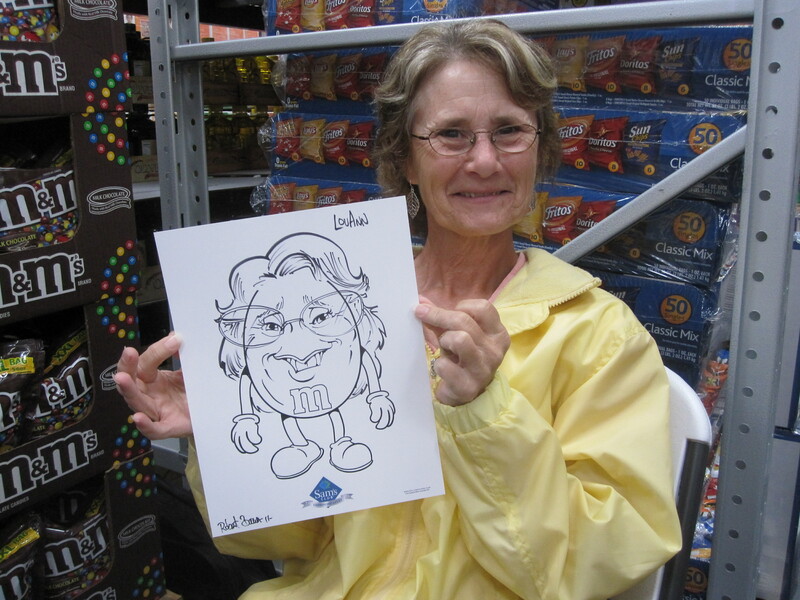 To help them tell everyone about how customers can discover their own “inner” m&m, Mars has been sending Goofy Faces artists to various Sam’s Clubs throughout America. 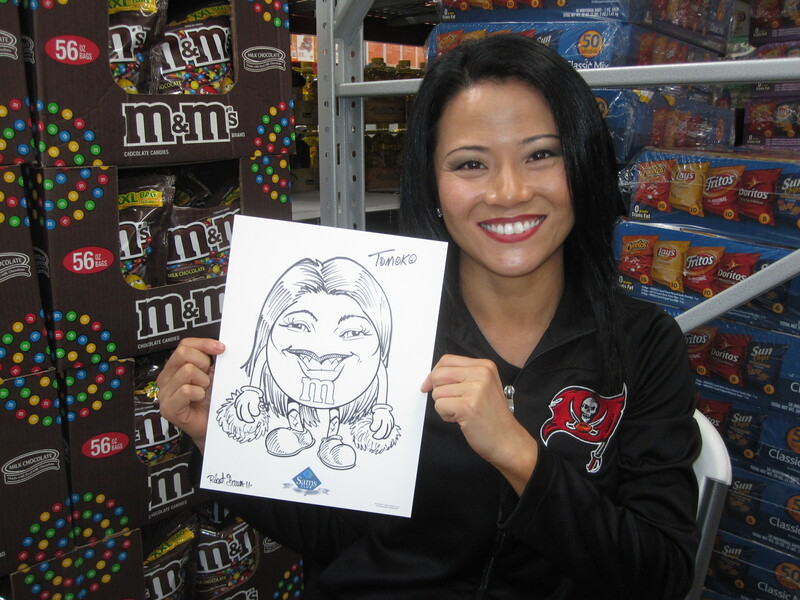 You may have seen them in your hometown drawing shoppers as either plain or peanut m&ms. 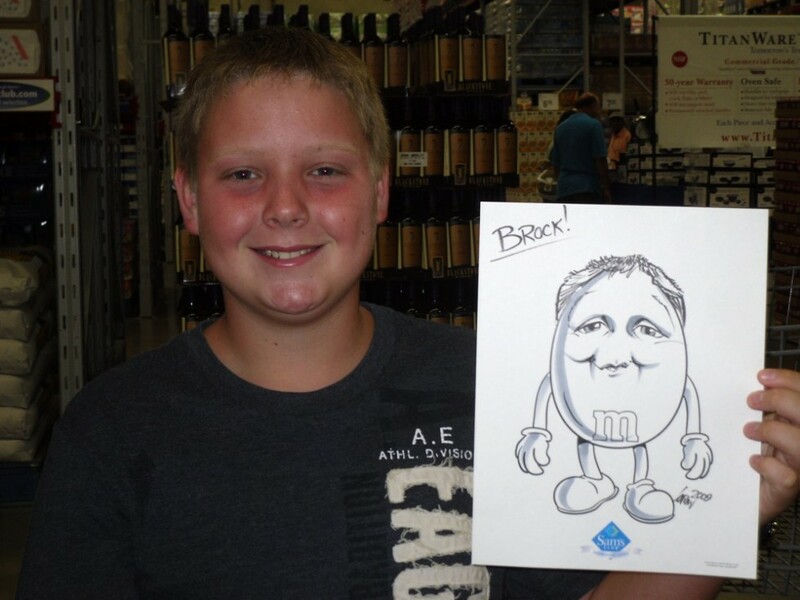 Maybe you have one already or you might get a chance the next time you head to Sam’s Club! 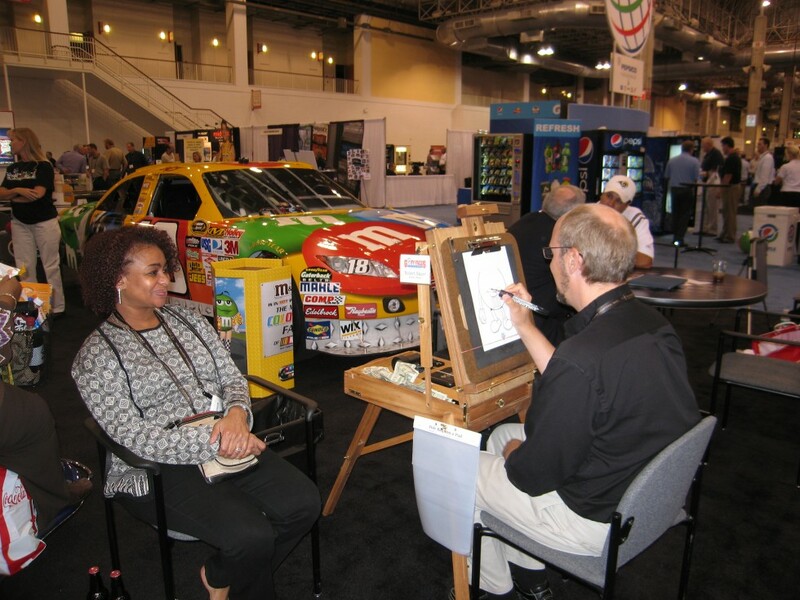 Just look for the m&m signs and an artist camped out near your favorite hard-shelled chocolate candy! Welcome to the Goofy Faces Blog. Here is where you can check out what we’ve been up to. 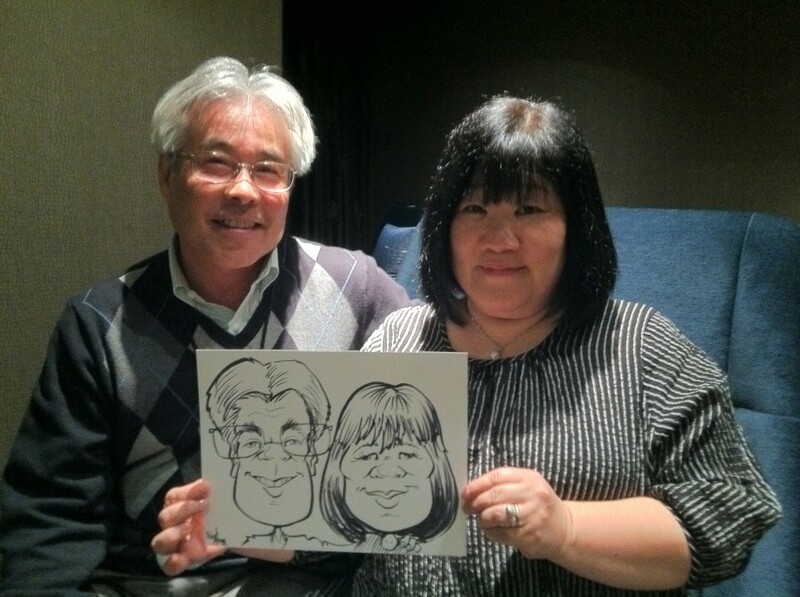 You can also see photos from recent events and learn more about the art of caricature. Enjoy!